Choosing the best time to visit Cancun is a matter of weather, prices and activities. Cancun is popular because of its luxurious hotels, convenient location and many things to do. This brief video shows 10 of the top attractions in and around Cancun. This Cancun video explains the best time to visit the most popular vacation destination in Mexico. 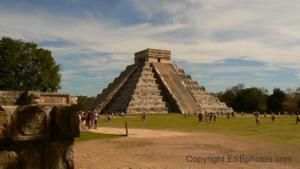 A tour of the Mayan ruins at Chichen Itza is one of the best excursions in the Caribbean. See Cancun climate including historical temperatures and rainfall by month so you can plan your vacation around good weather. Cancún is home to some of the Caribbean’s most popular beaches. Here are a few good ones beyond the hotel strip. The Mexican cruise port at Progreso is an up-and-coming destination on the Yucatán Peninsula.